Stefen sums up small-town life exactly – ‘People know who your parents are’ and with that statement sums up the accountability bestowed on young people in a small community. It can modify in positive ways the behaviour of young people growing up but it can also restrict risk-taking in other ways, so it is not always a blessing. Stefen was born and bred in the Bahamas. The only child of bankers he denies he was too lonely growing up – he had dozens of cousins instead. He attended school all the way to the end of high school on the island before moving to Hartwick College in Upstate New York as an economics major. A liberal arts school, it also allowed him the opportunity to study politics. He adds that he was not so much interested in politics with a capital P but more the role of economic policy and the impact of public policy on economics. Moving to Upstate New York for college was ultimately difficult for Stefen – less for the studies and more for the environment. Eventually, there was an opportunity to join the Inter-American Development Bank or the IDB as it is known. Stefen spent a year and a half here and enjoyed the less traditional setup. IDB is a multilateral bank with offices across the Caribbean and Latin America. Unlike commercial banks, much of its client base was the government and the IDB funded public interest projects, typically offering interest packages at significantly lower rates. When his contract there ended, at age 26, he decided to take a year off. Part of what occupied Stefen was his involvement with Global Shapers. I had not heard of this organisation but it is an offshoot of the World Economic Forum, better known as the organisation behind the annual financial Davos Conference in Switzerland. The summit really liberated Stefen and he felt he had found his voice. He travelled afterwards all over the Caribbean. He was surprised at how similar the people were in the different countries of the Caribbean but he also noticed a lack of unity in the region. This was all happening between 2016 and 2017, Stefen’s gap year. 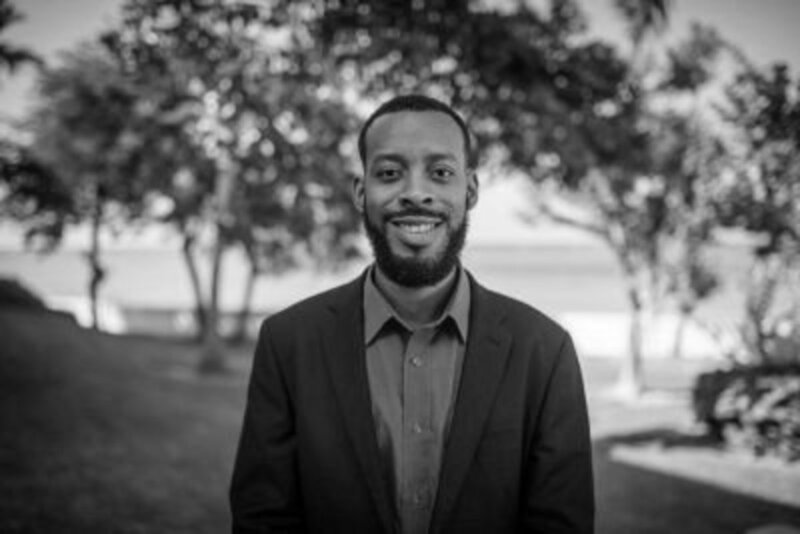 He travelled to Jamaica to attend Tech Beach, the biggest tech conference in the region. The founder of the conference was also a global shaper and so Stefen knew he was right to attend. What he did discover was that the Bahamas was lacking in tech representation. There were tech leaders from Jamaica, Trinidad and Barbados but none from his native island – at the same time Stefen fell head over heels in love with the entire tech world. This enthusiasm had long been brewing from his involvement in an advocacy group called ‘Shift the Culture’ that he helped start, which has as its aim to assist entrepreneurs and tech startups. Stefen had already discovered blockchain in 2015. It hadn’t fully taken over him yet but he knew it was important technology. Meanwhile, he was looking for a job that somewhat aligned his passion for tech with entrepreneurship. However, Stefen still had to find a way to live his passion and, fuelled by many late night conversations with his friends in the Caribbean blockchain space, he decided to set up the Caribbean Blockchain Alliance. That was in November 2017 and initially, there were no roles assigned – again wanting to reflect the lack of hierarchy that Stefen so enjoyed in much of the tech world. Stefen has partnered with the IDB, and Blockgeeks in Canada, to develop the software courses. Already a pilot scheme has been developed with great success and Stefen hopes to create more over time. They also hope to run hackathons in Nassau this year to generate more interest. It looks very sunny for blockchain in the Caribbean.